The Golden Tiger Beerhall is tucked away in a small street called Husova, a short walk from the tourist-teeming Karlova street. 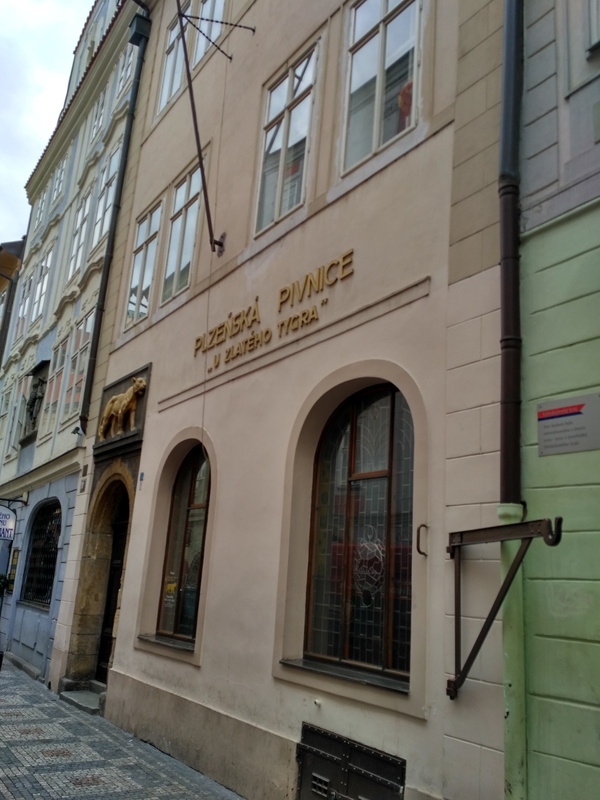 Thanks to the excellent Pilsner and the atmosphere, made famous by Bohumil Hrabal’s short stories, it has become the iconic venue for Czech beer aficionados. There is a large variety of cold food on offer, hot dishes including pork steak in potato pancake or pot goulash. 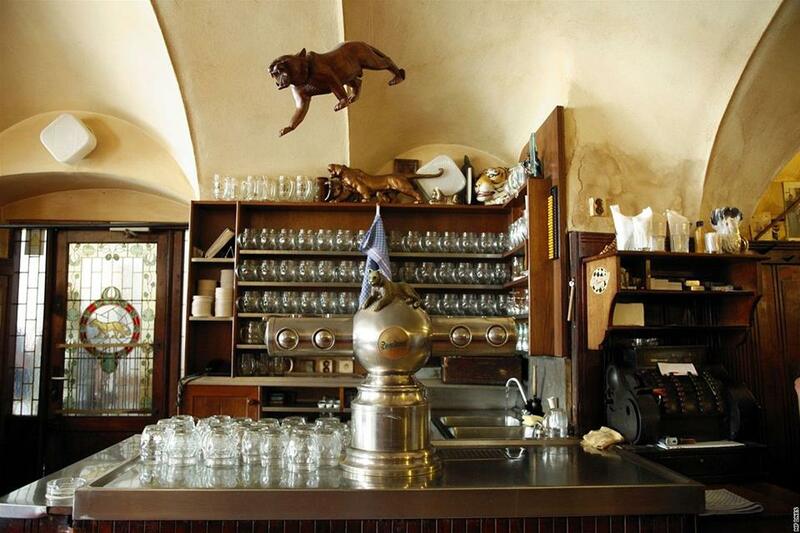 The local specialty is beer cheese – this beerhall was the first one to get regular deliveries of this delicacy from the producer. In the evenings it is hopelessly full and so it is advisable to reserve your table.